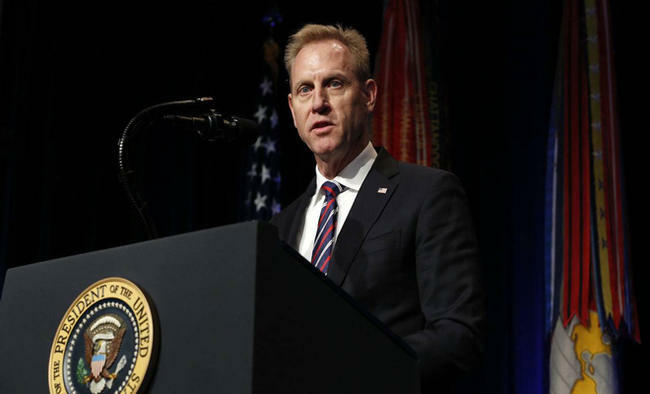 Kabul: Acting US Defence Secretary Patrick Shanahan arrived in Afghanistan on Monday on an unannounced visit.According to Defence Ministry officials, Shanahan will meet US troops and is likely to also hold talks with Afghan leaders and military officials, reports Xinhua news agency. The visit came as US Special Representative for Afghan Reconciliation Zalmay Khalilzad, who held talks with Taliban representatives lately, started a trip to Belgium, Germany, Turkey, Qatar, Afghanistan and Pakistan on Sunday. Meanwhile, US President Donald Trump has publicly questioned the benefits of a continued military presence in Afghanistan and ordered the military to pull out of Syria in December. An official told CNN that Trump at the same time also decided to withdraw about half of the 14,000 troops deployed in Afghanistan.Shanahan said before departing that he had no orders to "step down our forces in Afghanistan", but was tasked with supporting the ongoing peace talks between Washington and the Taliban.